Please welcome Nina Allan to The Qwillery as part of the 2016 Debut Author Challenge Interviews. The Race will be published on July 19th by Titan Books. Nina: Hi there! I first started writing when I was about six years old – little stories about mermaids and dogs, with pictures drawn in wax crayon to accompany them. I started keeping a rudimentary journal when I was about nine. I honestly can’t remember what led me to do this, and I would say that for me, writing was an interest and a passion that evolved naturally alongside my interest and passion for reading. All I know is that from a young age, writing down my thoughts, feelings and stories seemed like a perfectly normal thing to do, an activity that felt instinctive and that I never questioned. Nina: Oh, a pantser, for my sins. If you’ve read Stephen King’s On Writing, you’ll find my own method described right there, pretty much exactly. I fasten upon a character and a situation and start writing, trusting that solutions to problems will present themselves as I go along. Mostly they do, but neither am I a stranger to the feeling of panic King describes, the fear of ‘losing’ a story through not having a clue what comes next. My hard drive contains several 30,000-word-plus segments of novels that just seemed to die on me, and the process of discarding tens of thousands of words, especially in the beginning stages of a book, is something I’ve come to accept as normal-for-me. I am trying to introduce a greater element of planning, simply because the process I have now is so nerve-racking, but I know I’m very unlikely to become the kind of writer who provides themselves with a detailed, chapter-by-chapter summary of their work in progress. For me, a novel or indeed a short story is an organic entity, constantly evolving. That element of surprise, of spontaneity, is essential for me in keeping my interest in a project alive. Nina: Bridging the gap between the book that’s in my head and the book that ends up on paper. Finding ideas has never been a problem for me, but transferring the intensity of that original vision to the medium of the written word is a process I’m sure most writers struggle with at some point. Even so, it is a challenge I relish. For me, writing is enjoyable precisely because it is challenging, with each new piece of work, in some sense, as a problem to be solved. Nina: At the most basic level, what influences my work most directly is place. Every place I’ve ever lived in (and to a lesser extent visited) presents its own compelling reasons for writing about it. Place is the anchor of memory, and I would say that memory as a subject matter – what we remember, why, and how this affects our lives and actions in the present moment – is at the core of everything I write. On a more abstract level, it is books that inspire and influence me, on a daily basis. Finding time to read, to expand my knowledge of the work of other writers, is an essential element of my writing life and not just in the realm of fiction. I’m rediscovering a particular interest in essays and memoir at the moment, the idea of the book as a repository of memory, the fundamental clash between biography and autobiography. The narrator of an autobiography will always be an unreliable narrator, to some extent. And that fascinates me. I have always seen the practice of writing fundamentally as a dialogue between the present and the past. TQ: Describe The Race in 140 characters or less. Nina: A Mobius strip of actual and imagined realities, featuring telepathic dogs, giant whales, and the search for alien life. TQ: Tell us something about The Race that is not found in the book description. 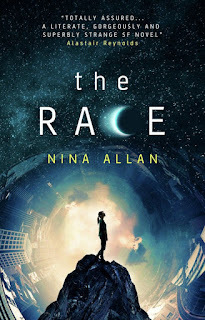 Nina: The Race actually started life as a novel about a soldier who becomes a serial killer after becoming traumatised by his experiences in WW1. That material – and that character – eventually came to life in my 2015 novella The Harlequin. TQ: What inspired you to write The Race? What appeals to you about writing Science Fiction? Nina: The single biggest influence on The Race was moving to a new town – Hastings, on the south coast of England. With hindsight I can say that what The Race is mainly about is my coming to terms with leaving London, my trying to get to grips with changes in my life in the way I have always done – by writing about them, however indirectly. More specifically, The Race is at least in part a response to news items about fracking and my concerns about the wholesale degradation of natural ecosystems. I loved science fiction from an early age. When I was younger I think what most appealed to me in SFFH was the weird stuff – aliens and monsters and time travel and clones. 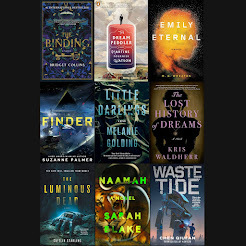 I still love all of that – I harbour a secret desire to write a full-on Alien-type novel one day – but what I’ve come to appreciate most about science fiction as a writer is how flexible it is, how radical, how fearless. Science fiction is as personal and as malleable as you need it to be, which is what makes it exciting. Even those stories of mine which edge close to the mainstream end up with some element of weirdness in them. I never seriously considered not writing science fiction – as a writer and as a reader, it’s where my heart lies. TQ: What sort of research did you do for The Race? Nina: Loads – and at the same time none at all. Everything I write tends to go through several stages of development, and it’s not unusual for the finished work to have only a tangential relationship to the original concept – certainly this is true of The Race. I read constantly about subjects that interest me, with the aim of making these subjects a natural part of my creative repertoire and without that sense you get sometimes in novels of the research intruding too much upon the actual story. I want to write about subjects I care about, and I want my interest and passion for those subjects to communicate themselves directly to the reader. Research is essential and it’s endlessly fascinating, but I like not knowing which parts of it I’ll need when I come to write. TQ: In The Race who was the easiest character to write and why? The hardest and why? Nina: The easiest character to write was undoubtedly Christy, I suppose because her voice is closest to my own. I wrote Christy’s narrative first, and although it has been redrafted several times, it is the one section of the novel that has remained essentially unchanged from the beginning. The most difficult character to write was Christy’s brother Derek. He is unpleasant and abusive, yet his personality is so present I frequently found him taking over the narrative in ways I never intended. It was Derek’s WW1 alter ego – discarded completely from The Race – who eventually became Dennis Beaumont in The Harlequin. TQ: Why have you chosen to include or not chosen to include social issues in The Race? 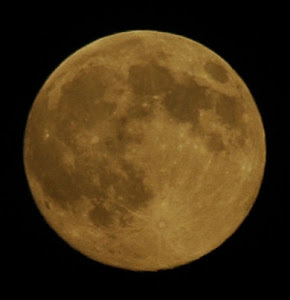 Nina: Much of the social comment in The Race is based around our relationship with the environment, with the casual depletion by humans of the Earth’s resources. This is the central crisis we face as a species right now, bar none – ignore it, and we won’t have a planet to live on. It is often said that SF acts as a kind of barometer for social change – that this is arguably one of its most important functions. It is therefore hardly surprising that environmental issues have begun to permeate the subject matter of science fiction more and more in recent years. TQ: Which question about The Race do you wish someone would ask? Ask it and answer it! Nina: I’m surprised no one has asked me about the smartdogs! I’m very interested in the way animals think, how they are able to communicate so directly and so intensely with human beings. Anyone who has spent any meaningful time with animals at all will know that there is a very definite thought process going on, something that is much more than simply a series of images, or impulses. The actual nature of that process is currently beyond our ability to understand or quantify it, though we can intuit it, if we choose to, and I wanted to put some of my thoughts about that into writing. Much of my experience of sight hounds specifically comes from observing and interacting with my mother’s fifteen-year-old brindle whippet, Freya. TQ: Give us one or two of your favorite non-spoilery quotes from The Race. ‘I went over and over the night of my fruitless search for Linda, trying to make sense of it, trying to work out what must have happened and trying to convince myself I was mistaken. I confided my fears to no one, not even Peter.’ That’s from Christy’s section. The events she’s talking about here lie at the heart of her story. ‘Terror makes insects of us all, because it reminds us we can be nothing in less than a second.’ That’s from Maree’s narrative, and is directly connected with the episode with the giant whales. Nina: Next on the horizon is my novella Maggots, which is due to be published later this year as part of Jonathan Oliver’s Five Stories High anthology for Solaris. 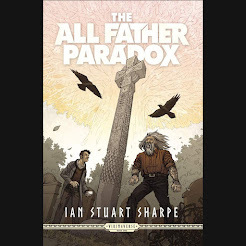 This was a great brief – write a long horror story, basically – and one that gave me the chance to dabble in Lovecraftiana, something I’ve been wanting to do for ages. My second novel The Rift is due from Titan in 2017. This novel also features siblings – two sisters this time – and the search for alien life. I loved writing this novel and I’m hoping readers will enjoy the story. Or should I say stories..? One thing that could be said about my narratives is that they’re never simple. Nina: And thank you for having me! 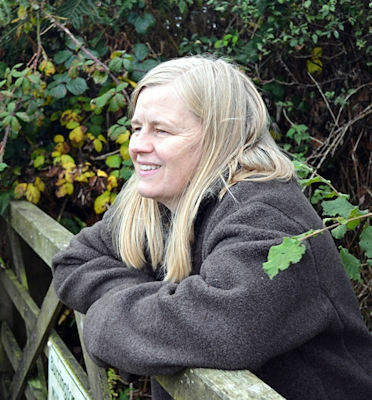 Nina Allan has won the BSFA Award for Short Fiction, the prestigious Grand Prix de l’Imaginaire, and the Aeon Award. She has been shortlisted for the British Fantasy Award four times and was a finalist for the 2014 Shirley Jackson Award. The Race is her first novel.